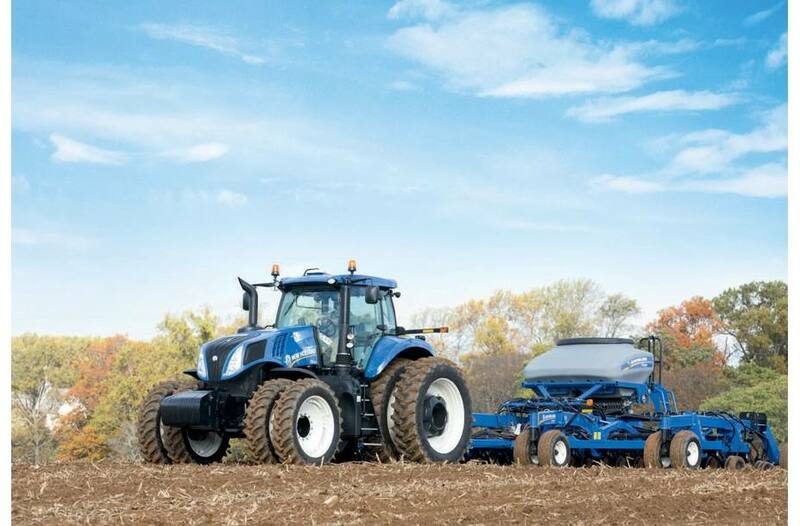 Now, Everything Is Possible with The Genesis® T8: New Holland DNA runs through every aspect of GENESIS® T8 Series tractors, which means you'll notice unique, innovative features that make you and your operation more productive. Power, fuel efficiency, stability and maneuverability are all rolled into this one-of-a-kind tractor. GENESIS T8 tractors carry the legendary GENESIS name—a proud reminder of the original GENESIS tractors that redefined what was possible 20 years ago and proved an instant success with the nation's farmers. True to the GENESIS name, today's GENESIS line is still redefining what is possible, continuing the legacy. You too can be part of the GENESIS legacy. Powerful Proof Is In The Numbers: ECOBlue™ HI-eSCR improves engine performance. Every GENESIS® T8 tractor delivers higher rated and maximum power to boost your output. Look at the numbers. A GENESIS ® T8.320 is rated at 250 engine horsepower but with Engine Power Management (EPM) will produce up to 320 horsepower. The same story is true for every GENESIS® T8 model. When you get to the mighty GENESIS® T8.435, it has an engine rated horsepower of 380 but will put out up to 435 horsepower using EPM technology. Handle The Most Demanding Tasks with Ease: GENESIS® T8 tractors are the best choice for farmers and custom operators alike. They make it possible to improve efficiency and productivity in all types of fields and in the most challenging conditions. The revolutionary, precision-designed front-end allows an impressive 55° turning angle for tight end-of-row turns. And with the longest wheelbase in its class, the GENESIS® T8 delivers unmatched stability and impressive draft performance. Whether you're planting, digging sugar beets, or pulling a grain cart, you can rely upon your GENESIS® T8 to tackle the toughest tasks and deliver maximum performance and dependability while doing it. Outstanding Versatility. Unsurpassed Productivity. Welcome To High-Performance Farming: GENESIS® T8 Series tractors continue to reinvent the concept of high-horsepower farming. 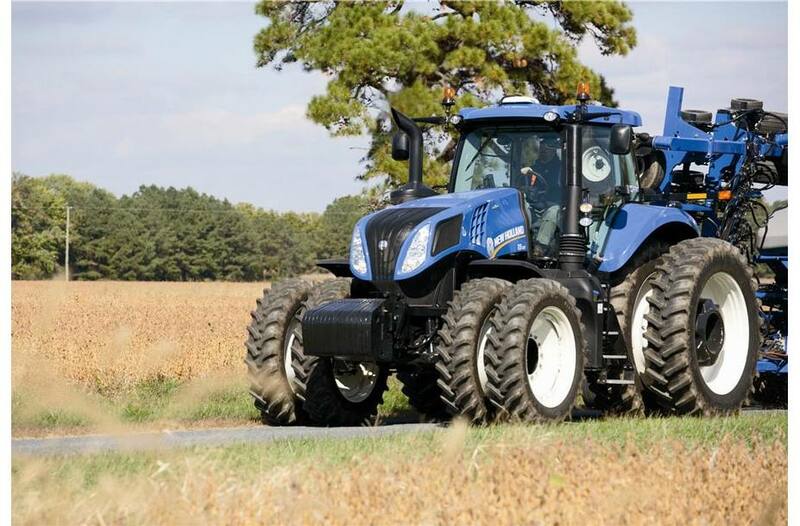 New Holland's SmartTrax™ rear track system unlocks the true potential of your GENESIS® T8 tractor. The SmartTrax has a larger footprint allowing you to go even beyond what is possible with standard tires for more productive farming. You get the choice of numerous track spacing and belt widths. The benefits are many: reduced compaction, increased efficiency, better traction, enhanced stability. Twin track systems have been integral in farming operations for many years. Increased traction with reduced compaction has been the main selling point of twin track systems, but they have their downfalls. 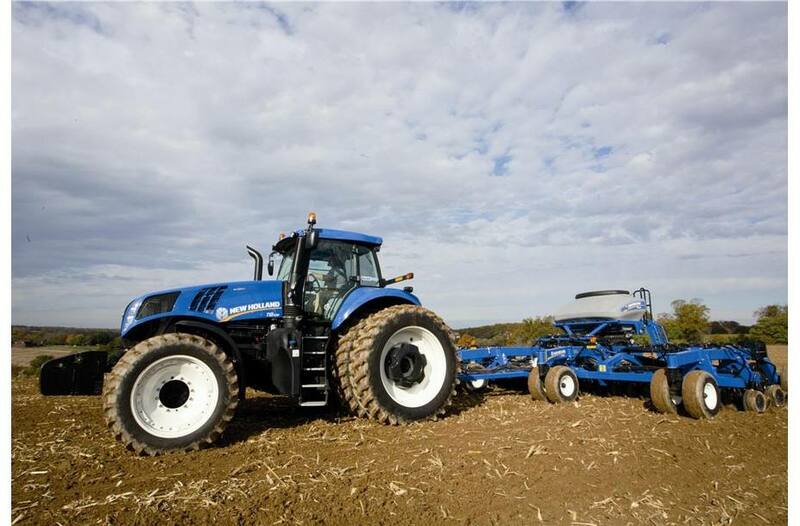 Now, New Holland is totally reshaping how the industry defines twin track systems. Inside ECOBlue™ HI-eSCR: This new system is an evolution of the existing ECOBlue SCR system featuring the highest NOx conversion efficiency in the industry. This multi-patented system uses a new Engine Control Unit, which not only manages the engine, but also the HI-eSCR after-treatment system by controlling the supply and dosing modules. Using a dedicated closed-loop system, it continuously monitors the NOx levels in the exhaust gases, ensuring that during every cycle the precise amount of DEF is injected to achieve NOx conversion of over 95%, all while guaranteeing low fluid consumption. Save Fuel To Reduce Your Carbon Footprint: Emissions released from burning diesel are a significant contributor to a farm’s overall carbon footprint. 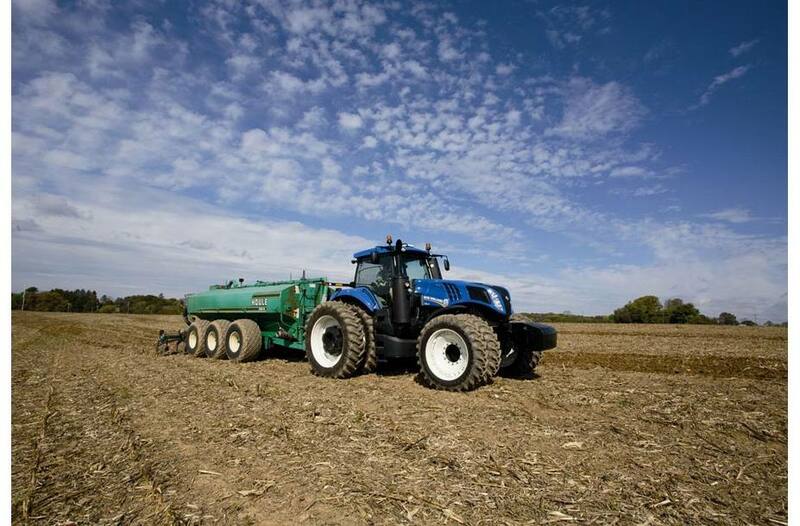 ECOBlue HI-eSCR technology for Tier 4B compliance reduces NOx emissions while maintaining impressive fuel efficiency, bringing about a substantial cut in your farm’s carbon emissions. 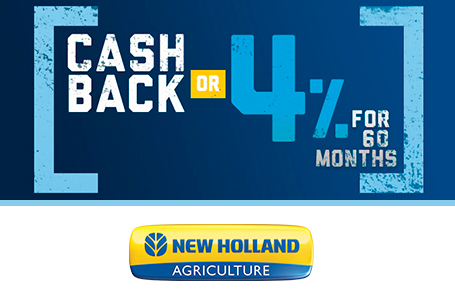 Visit www.carbonid.newholland.com to find out how much carbon you could save! 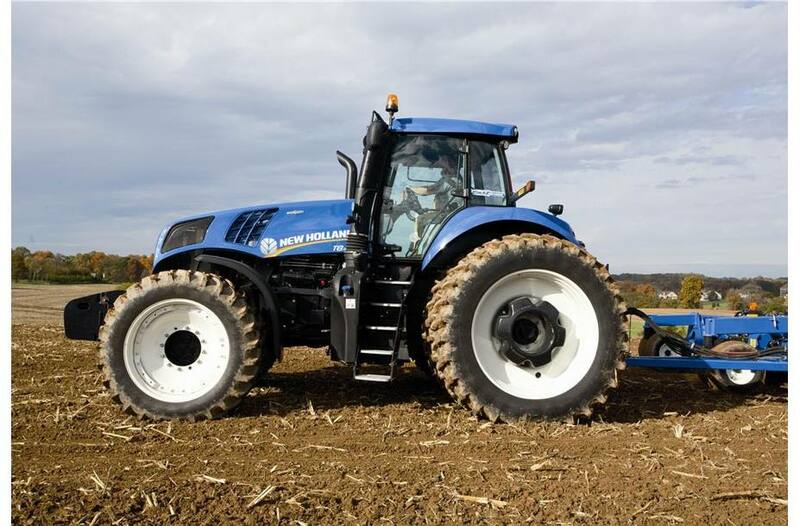 Engine Power Management: Engine Power Management (EPM) is a renowned New Holland tractor feature. In short, the engine develops more power and torque during demanding hydraulic, PTO and transport operations. On a GENESIS® T8.380 tractor, EPM will deliver up to 71 horsepower extra, but only when it is needed, to maintain performance. 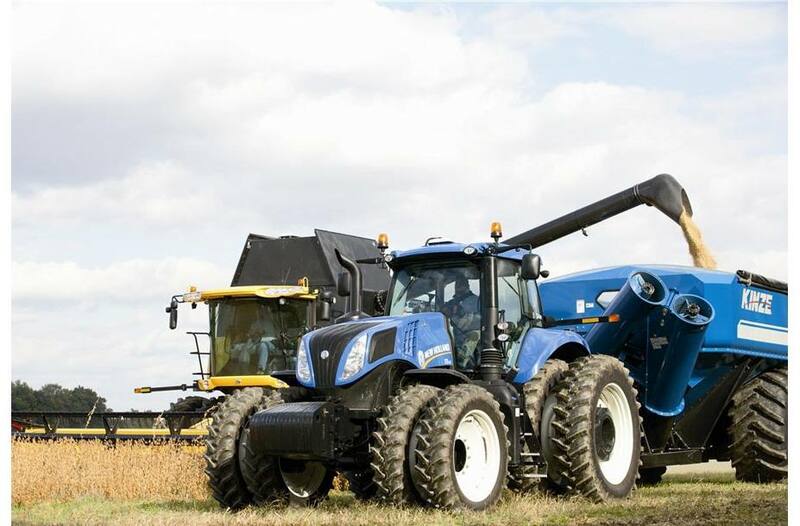 The Importance of Transient Response: At New Holland, we’re passionate about transient response. It’s your productivity guarantee. Put simply, since your Cursor 9 engine breathes only clean fresh air, it can react more quickly when placed under load—a lot more quickly in fact. So when you’re transporting heavy trailers or grain carts and you encounter a hill, you’ll be able to maintain constant forward speed with no slow down. Transient response. We’ve got it covered. Smooth Operation In The Field or On The Road: A choice of New Holland transmissions enhances GENESIS® T8 tractor versatility. Select the Ultra Command™ transmission—the most powerful full powershift in the business—or the Auto Command™ continuously variable transmission (CVT) for unsurpassed CVT operation. Ultra Command™ Full Powershift(Genesis® T8.320 Through Genesis® T8.410): With a minimum of 18 forward speeds, eight of them in the critical 3- to 8-mph tillage range, Ultra Command powershift transmissions offer more speed choices than other tractors in this class. It matches mechanical efficiency with easy control, so you can use speeds to perfectly match every application. The CommandGrip™ multi-function controller on the SideWinder™ II armrest gives you fingertip access to automated features, including Ground Speed Management. Choose between 18x4, 19x4 (economy overdrive or 31-mph high-speed) and 23x6 creeper powershift transmissions. Ground Speed Management (GSM): When load conditions change in the field, GSM will automatically maintain a fixed forward ground speed. First, you set your desired working speed, then select the GSM function and the automated system will then match engine and transmission speeds to maintain this fixed forward speed, so you get a perfect balance of productivity without compromising economy. During road transport, GSM automatically shifts the transmission according to load and throttle settings. With heavy loads, GSM downshifts to assist with engine braking on steep inclines. Power Shuttle: You can operate the forward/reverse shuttle using either the lever mounted to the left of the steering column or the CommandGrip™ controller on the SideWinder™ II armrest. It’s easy to program your preferred forward/reverse shuttling speeds. Auto Command™ CVT Offers Advanced Features(Genesis® T8.320 Through Genesis® T8.435): Designed and built by New Holland, the latest-generation continuously variable transmission (CVT) has evolved from the award-winning T7 Auto Command, which has reached a milestone, with more than 10,000 built. Combine the simplicity and efficiency of Auto Command with the GENESIS® T8.435, with 435 EPM HP, and you have the world’s most powerful conventional CVT tractor. Ever. 4 Points of 100% Mechanical Efficiency: The Auto Command transmission delivers an industry-leading four direct drive points with 100% mechanical drive efficiency. Precision-engineered to ensure that they perfectly match to the most frequently used speeds during planting, tillage, secondary cultivation activities, high-speed field work like baling or mowing, and high-speed transport activities. Quite simply, it is the smoothest and most productive CVT around. A Speed For Every Need: Auto Command technology gives you infinite and seamless speed-changing ability. Set your target speed anywhere between 65 feet per hour right through 31 mph and regulate it to the nearest 0.01 mph. No steps. No range changes. Just seamless speeds to match your every need. Control your Auto Command CVT effortlessly with the CommandGrip™ handle and program three forward and three reverse target speeds. You can even adjust your speed on the fly with the thumbwheel. 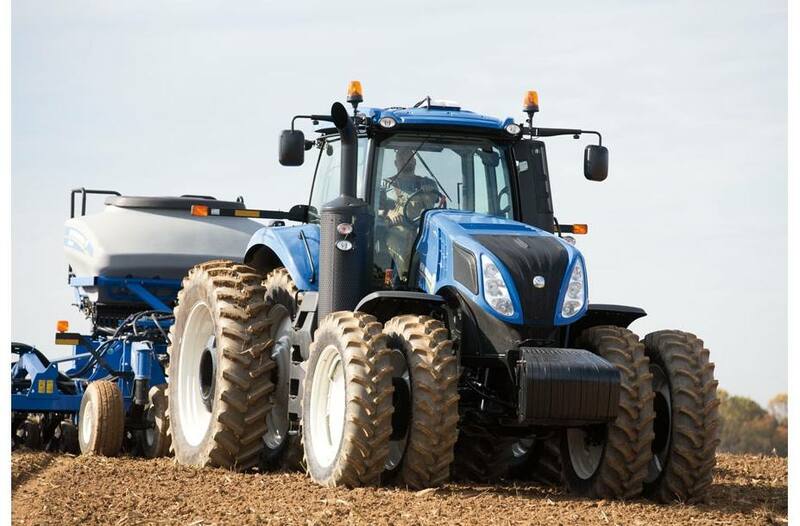 Making The Most of Available Torque: New Holland developed the Auto Command transmission to exploit the low running speed and high torque of FPT Cursor 9 engines. With the 25-mph transmission option, the engine can run at a fuel-efficient 1400 rpm. 4 Driving Modes To Suit Your Driving Style: Auto Mode. Select the desired target speed and Auto Command will match the engine and transmission to maintain it. ; Cruise Mode. When you achieve the desired operating speed, Cruise Mode allows you to set the transmission to maintain the speed for economy and productivity. ; Manual Mode. Set the required engine and forward speed. ; PTO Mode. As soon as the PTO is engaged, Auto Command will operate to guarantee a constant engine speed . Fast Direction Changes: Changing direction is simple with Auto Command. Either move the CommandGrip™ handle forward or back, use the forward/reverse button on the CommandGrip handle or use the shuttle lever mounted on the steering column. Active StopStart: A key safety feature of Auto Command is Active StopStart. 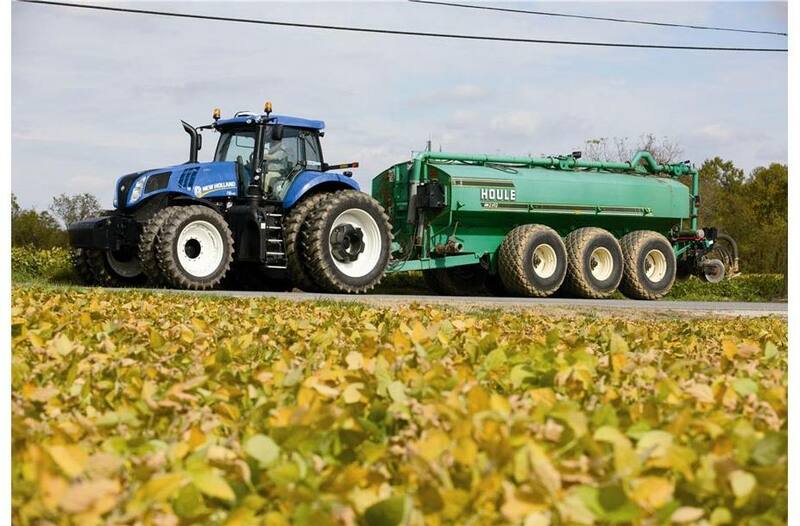 When you bring the tractor to a standstill, the transmission prevents the tractor from moving backwards or forwards—even when transporting fully loaded trailers or hauling manure. When you start out from a stop, there is no risk of rollback on steep inclines. For safe parking, engage the electronic brake using the shuttle lever. Unmatched Hydraulic Flow and Flexibility: Quick hydraulic response and ample flow are an integral part of the GENESIS® T8 tractor design. You have the capacity, control and flexibility to perform multiple hydraulic functions simultaneously—without sacrificing performance. Mega Flow™ Pump: Standard hydraulic flow is a generous 44 gallons per minute. With the additional Megaflow™ pump option, capacity climbs to a massive 75 gallons per minute. Up To 6 Electronic Remotes: GENESIS T8 remote valves are easy to identify with color-coded couplers and levers. You can control all six remotes without moving away from the SideWinder™ II armrest. It’s easy to identify and work each remote with exact precision. Four remote levers are on the armrest and two valves are controlled by the electronic joystick. You can set flow, timing and detent settings to precisely match the job. You can also program each valve with the Custom Headland Management system. Easy Flow Control Using IntelliView: The Intelliview™ touchscreen makes setting the flow rates for individual valves simple. Scroll through the menus and select valve control. Choose the outlet you want to adjust, and drag the slider with your finger to the desired setting. Job done. Ready For Every Hydraulic Demand, Front or Back: Equip your GENESIS T8 with the optional fully integrated front PTO and three-point hitch, and the GENESIS T8 not only handles the load, it excels at the job. The slim engine hood provides excellent forward visibility. The balanced long wheelbase makes it easier to make full use of the 12,800-pound (5810 kg) front lift capacity. Integrated electronic front linkage controls are easy to reach and use. A retrofit front linkage and PTO package is also available. Heavy Mounted Equipment Meets Big Lift Capacity: With a rear lift capacity of up to 19,900 pounds on the GENESIS T8.435, a GENESIS T8 Series tractor has the rear linkage capacity to cope with the heaviest of rear attachments. Of equal importance, high-capacity hydraulics also allow you to raise the linkage quickly for speedy headland turns. With Custom Headland Management, you can set the hitch raise and lower positions as part of an automated turn sequence. Custom Headland Management: Automated features are only useful when operators feel comfortable using them and when they deliver operating flexibility. 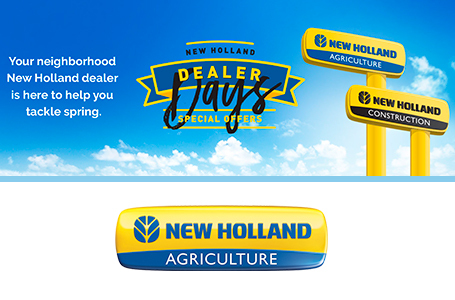 New Holland’s Custom Headland Management system combines simple programming and recall with the potential for advanced modifications to makes it easy to improve in-field efficiency. The system allows operators to record and store the sequence of operations at the headland, and play the sequence back automatically with the push of a button. To modify pre-programmed sequences, operators use the IntelliView™ monitor to fine-tune tractor actions so they are right for every individual field and crop. It’s also a great way to reduce fatigue over extended working periods. The Maneuverability You Want Plus Stability, Traction, Speed and Comfort: What’s more important to you—stability or maneuverability? With GENESIS® T8 tractors, you don’t have to choose. The Benefits of A Long Wheelbase: A longer wheelbase means greater stability at high transport speeds, faster and more efficient tillage operations and more traction for demanding heavy drawbar applications. GENESIS® T8 Series tractors offer it all. GENESIS T8 tractors have an impressive wheelbase of 11’4” (Ultra Command models) — that’s 14 inches longer than the nearest competitor. This has been further stretched to a mighty 11’8” on the flagship GENESIS® T8.435. That’s a full 18 inches longer than the nearest competitor, all contained within an overall length of a mere 21’3”. Agility Is Part of The Package, Too: The GENESIS T8’s long wheelbase also offers excellent maneuverability. Two concepts which don't normally go together! 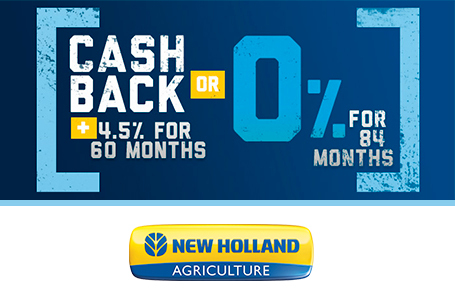 New Holland achieves it with the bold, sculpted hood and frame. They enable the wheels to tuck in tight to the tractor body to achieve an impressive 55° turning angle. 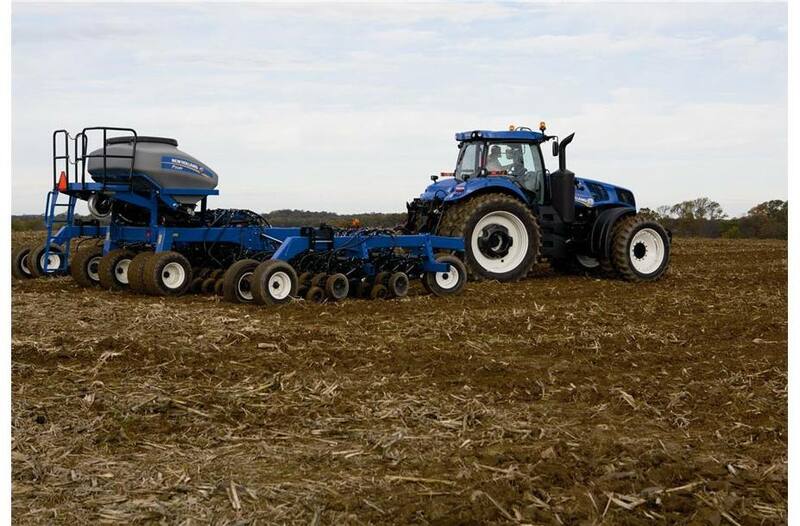 You make tight headlands turns for the improved productivity and efficiency you expect from New Holland. Smooth TerraGlide™ FWD Axle: Choose the New Holland TerraGlide™ suspended front axle option for improved traction, steering and ride smoothness. The TerraGlide axle is proven to protect the tractor, mounted implements and the operator from heavy shock loads during transport and in the field. Combined with the Comfort Ride™ cab suspension option, you get the ultimate smooth ride with no compromise in maneuverability. Heavy-Duty Axles For Heavy Duty Performance: The five-inch heavy-duty axle is standard equipment on the GENESIS® T8.435. The five-inch bar axle means that every last drop of power is transmitted to the ground for ultimate in-field performance. Transport Safety: Front axle brakes are balance-linked to the rear axle brakes for safe, secure, dependable braking at high transport speeds. The optional engine braking system further improves safety by helping to reduce the need for repeated braking in difficult terrain. TerraLock™ Traction Management: The TerraLock™ system automatically manages FWD engagement as well as engagement of the front and rear diff lock. Of equal importance, the system takes care of disengaging FWD during a headland turn to optimize maneuverability. Outstanding Versatility. Unsurpassed Productivity. Welcome To High-Performance Farming: GENESIS® T8 Series tractors continue to reinvent the concept of high-horsepower farming. New Holland’s SmartTrax™ rear track system unlocks the true potential of your GENESIS® T8 tractor. The SmartTrax has a larger footprint allowing you to go even beyond what is possible with standard tires for more productive farming. You get the choice of numerous track spacing and belt widths. The benefits are many: reduced compaction, increased efficiency, better traction, enhanced stability. Twin track systems have been integral in farming operations for many years. Increased traction with reduced compaction has been the main selling point of twin track systems, but they have their downfalls. 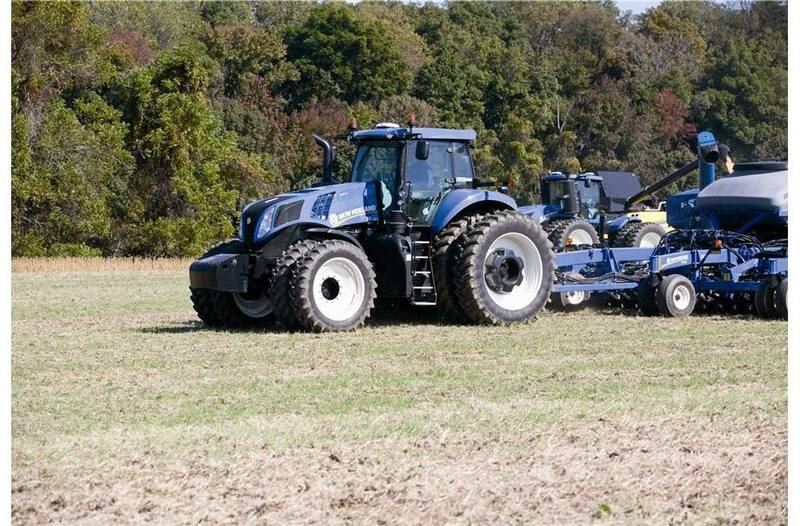 Now, New Holland is totally reshaping how the industry defines twin track systems. Treading Lightly: SmartTrax™ offer up to a 65% higher contact area with the soil than their wheeled equivalents. By spreading the load over a wider area you can reduce soil compaction, and lower compaction means higher yields. Full Power Turns with No Soil Damage: The T8 SmartTrax option offers the best of both worlds: tight turning courtesy of the front wheels and ultimate traction from the rear tracks. The result: full power turns. In reality, this means that you can continue to cultivate during headland turns, improving your productivity. Perfectly Balanced Operation: The GENESIS T8 SmartTrax retains its two-axle configuration, which enables power to be distributed through both axles for more balanced operation. 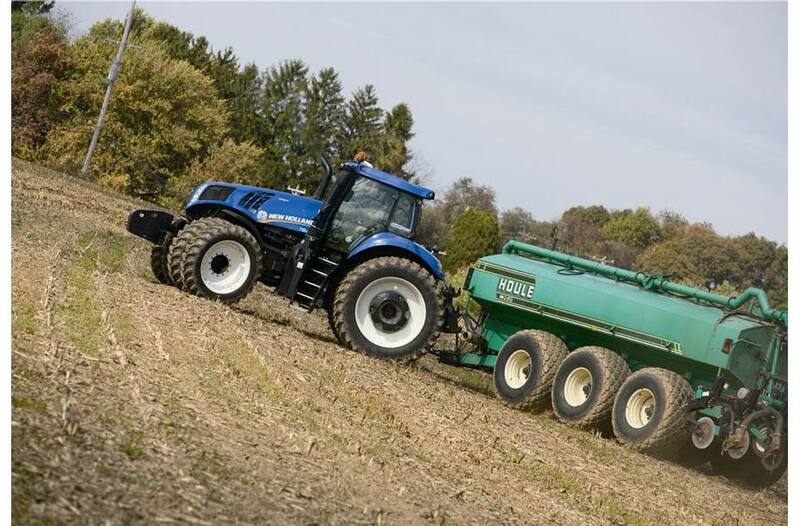 When towing heavy loads, or during tillage operations, the power delivered to the front wheels counterbalances the load on the rear of the tractor. This also enables more flexible ballasting, so that you can add additional weight exactly when and where it is needed for greater flexibility. Traction Without Question: The SmartTrax triangle design, together with the rubber cleats on the outer belt, ensure positive contact with the soil and unsurpassed traction when working on the steepest slopes or in the wettest or dustiest conditions. Positive, Efficient Drive: Up to eight positive lugs on the inner side of the tracks maintain physical contact with the drive wheel at all times for the ultimate in efficient power transmission. Improved Ride Quality: The benefit of the wheels and tracks combination is that it delivers improved ride quality. Since the two axles can react independently to changing contours in the field, they can effectively absorb them, eliminating the see-saw motion of single-track machines, improving comfort for you and your operators. Glide Over The Field or Down The Road In Absolute Comfort: Why complicate matters? Simplicity is always the best policy. The rubber block suspension system offers a tried-and-tested, reliable solution to significantly reduce vibrations for enhanced operator comfort and productivity. Ride quality is further improved by the three central independent rollers which move in conjunction with the terrain to cushion the operator from even the harshest shocks. When this is combined with Comfort Ride™ cab suspension and the positive-response active Auto Comfort™ seat suspension, you will feel as though you are floating on air. SmartTrax™ with TerraGlide™: Your Comfort Partner: The Terraglide™ front axle suspension has been fine-tuned specifically for the GENESIS T8 SmartTrax models. It improves traction and enhances comfort by counteracting bouncing to produce a smooth ride. When this is combined with Comfort Ride™ cab suspension, you have ultimate control of your GENESIS T8 during high-speed road transport, enhancing comfort and improving safety. Trouble-Free Track Setting: The SmartTrax option features a continuous heavy-duty tensioning system, which ensures that the correct track tension is always maintained for ideal traction. This automatic hydraulic system requires no operator input, so you can get on with the serious business of farming. In addition, the tensioning system is completely separate from the drive wheel, for ultimate simplicity and reliability. A Track To Suit Your Needs: SmartTrax™ belts are available in four widths to suit your operation. The standard 16" and 18" versions are available with the narrow undercarriage and are perfect for most row crop operations. The 24” and 30” versions are available with the wide undercarriage, ideal for tillage, broadacre drills, and grain carts. They spread the load even wider for even lower compaction and even more traction. Flexible Track Spacing: Many different variables dictate the required track spacing. You can select a track spacing of between 76” to 152” to ensure the perfect width for your field. The Quietest, Most Spacious Cab In Its Class: Settle into the seat of a GENESIS® T8 tractor. Take in the expansive view and appreciate the industry-leading 109.5 cubic feet of interior space. Let your hand effortlessly master the controls. Notice how the seat, cab and axle suspension cushion your ride. You’ll find it doesn't take long to get used to excellence. Eyes In The Back of Your Head: The fully glazed door, large windshield and glass area of GENESIS T8 tractors combine to ensure 360° visibility. You have an especially impressive view to the front, with easy visibility over the fenders and slim engine hood. Optional wide-angle split-view mirrors feature an electronically adjustable top section so you get the best possible view of the road during high-speed transport. The lower section of the mirror is designed to counteract blind spots. You can place it precisely where you like. Want more? They’re heated too, to get rid of moisture or frost in a flash! Award-Winning SideWinder™ II Armrest: GENESIS® T8 tractors are designed around you with ergonomically placed controls. The award-winning SideWinder™ II armrest reduces fatigue, allowing fingertip access to everything you need. The patented design allows the SideWinder II armrest to glide forward or back electronically to adjust to the perfect position for every operator. At the front of the armrest is the CommandGrip™ multi-function controller. It provides fingertip access to your most frequently used controls. IntelliView™ IV Touchscreen Display: The IntelliView IV display is a large 10.4-inch touchscreen display that provides a single interface for fingertip adjustment of key settings as well as compatibility with precision applications such as New Holland IntelliSteer™ auto guidance and implement control using either PLM™ IntelliRate™ Control or the PLM™ ISOBUS task controller. Reducing Shock Loads and Fatigue: Day in, day out, the optional Comfort Ride™ cab suspension reduces shock loads reaching the operator by up to 25%. The result? Less fatigue during long and productive work days. The Most Comfortable Seat On The Farm: Comfort is guaranteed thanks to the deluxe air-suspension seat that comes as standard equipment. For operators who spend extended hours in the tractor, the enhanced comfort of the ventilated, fully active Auto Comfort™ seat is worth considering. This premium seat uses a network of sensors to automatically calibrate damping on the go depending on the operator’s actual weight, for the smoothest ride ever. The seat also features advanced ventilation technology, which warms the body on cold days and efficiently whisks away perspiration for ultimate comfort in all weather. For an added touch of luxury, select the full leather option. Quick, Easy-Access Servicing: New Holland designed GENESIS® T8 tractors to spend more time working and less time in the yard. All service points are easy to access, and super-long service intervals mean GENESIS T8 tractors spend more time in their natural environment: the field. Daily Maintenance From One Point: Complete daily servicing at just one central location, from the ground, without opening any doors, panels or the hood. Check and fill engine oil, coolant, hydraulic oil and fuel in one side of the tractor, and inspect, clean and replace the cab air filter, as well. Engine service intervals are an extended 600 hours. Easy Filling: The AdBlue/DEF tank capacity has been increased to 26 gallons and the diesel tank capacity has been increased to 179 gallons (163-gallon on CVT models) for more in-field time. The diesel tank is lockable for added security. Important Details: The single-piece New Holland engine hood opens wide for full service access, and the cooling package opens out to make cleaning faster and easier. A built-in step makes reaching the front windshield for cleaning safe and secure, and new right-hand steps allow you to easily clean the right door window to improve visibility when working. You can top up the wash bottle through the rear window.